These Wheel Games are Simple to Use! This Display is An Affordable and Fun Option! 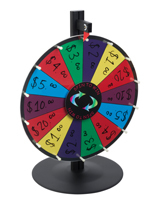 These Wheel Games are A Great Choice For Trade Shows! Carrying case included for easy transport. Gloss acrylic really stands out, even in large crowds. 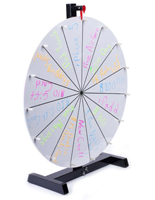 18" Diameter write-on board makes it easy to customize (14) prize slots. "Clicking" noise made as wheel spins adds excitement to the game. 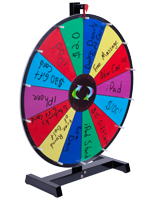 These wheel games are a great accessory for trade shows. 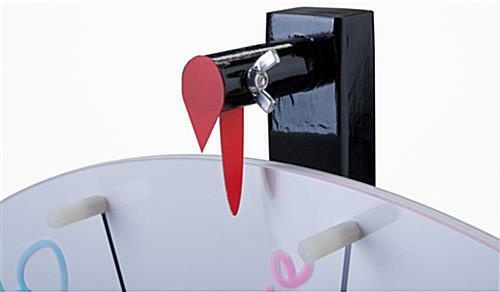 Purchase this display to improve marketing at trade shows. These white wheel games have a glossy acrylic finish that is very appealing and can attract people from across a large room. Have employees and clients play with this prize stand and trade show attendees be having so much fun they'll forget all about work. 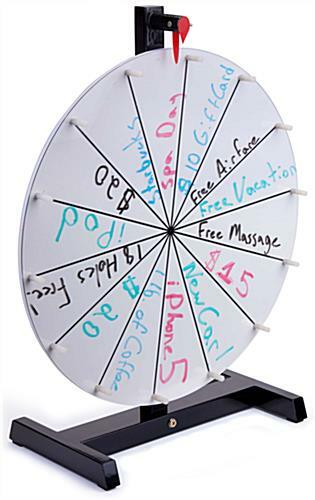 Spin these wheel games that are glossy acrylic and attract people with the clicking noise at is turns. This prize display is great for offices as well. 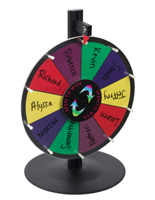 Get employees excited to participate when you bring out these wheel games that are for countertops. These products are available with two carrying cases for traveling. 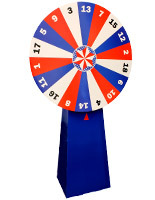 These wheel games come apart and users can carry the base and prize board in the case. This accessory is perfect for users who are constantly on the go. 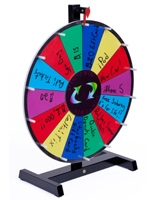 These wheel games that are for trade shows allow owners to bring the fun with them wherever they go. With this display marketing at trade shows becomes simple. 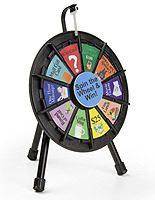 Give away little prizes with these wheel games to keep people engaged. They'll be having so much fun they won't even realize your effectively advertising your product or service! 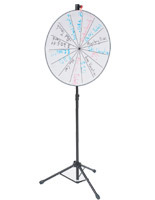 These wheel games are a great addition to any exhibition stand. 18.0" x 21.8" x 20.0"